Last Saturday SpaceX caused quite a stir on the Internet when they announced there would be no live web-cast of the Orbcomm OG2 launch attempt that evening. A spokesperson for SpaceX said they had been planning to move away from web-casting because launches had become so routine. The news of the media “snub” was soon all over social media, with a number of commentators saying the the only routine thing so far was delays. The Saturday evening attempt was aborted due to inclement weather, they were re-scheduled for Sunday evening at which time it was announced they would have a web-cast. However during the count down they found a which required additional analysis and scrubbed again, they then rescheduled for Tuesday but in the end needed more time. The launch is now expected to be in July due to range maintenance work that had been delayed to allow SpaceX to launch in the first place. We now have to ask is SpaceX moving too quickly in their manufacturing which is causing the delays due to leaks? And how will they be able to meet there stated goal of ten more launches this year? In separate news these delays are starting to effect Orbcomm financially as they budgeted a certain amount of revenue from the OG2 fleet and with each delay that revenue opportunity grows smaller. To allow engineer’s more time to perform detailed analysis of the AJ26 engines on the Tauraus scheduled to launch the next Cygnus spacecraft to the ISS Orbital announced that the Orb-2 flight would not flying before July 10th. The spacecraft was originally scheduled to launch in May but had to be rescheduled after delays to the SpaceX CRS-3 mission, then because of a AJ26 engine test failure at NASA Stennis Space Center. Orbital elected to delay the launch to allow engineers time to investigate the failure and ensure the other engines would not be effected by the same issue. NASA newest rover Curiosity celebrated it’s first Martian year on the surface of the planet this year completing on of the mission milestones. 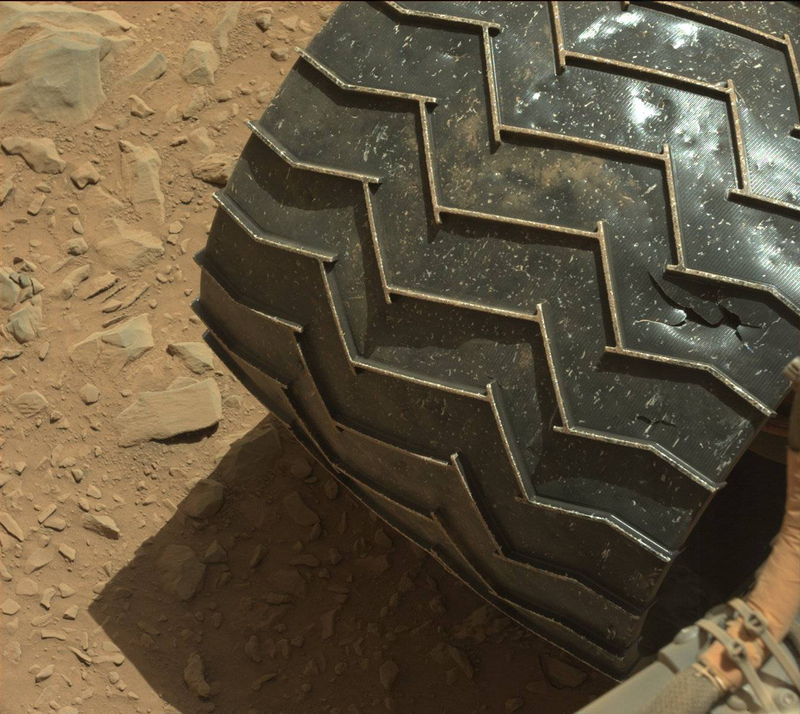 The rover has achieved much already but there is planet more to go, however engineers have noticed that the wheels have taken a lot more damage than expected, they are currently working on ways to avoid the sharp rocks that have been causing the damage. To learn more about Curiosity, it’s achievements and future plans check out the mission page here. Meanwhile elsewhere on Mars the Opportunity Rover still continues to operate more than 10 years after it arrived for a 90 day mission. To learn more about Opportunity check out its mission page here. And lets not forget that there are currently two NASA orbital spacecraft at Mars and another will be joining them in less than 100 days. Mars Reconnaissance Orbiter and Mars Odyssey are currently in orbit and MAVEN is on route. The final European Automated Transfer Vehicle (ATV) named Georges Lemaître has been integrated with its Ariane 5 launcher, scheduled to launch later this summer the vehicle is due to deliver 2600kg of supplies. The ATV vehicles utilize an automated docking process like the Progress vehicles and will attach to the Russian segment of the station. Once unloaded the crew will store any trash they no longer need which will burn up in the atmosphere with the vehicle at the end of its mission. Astronomers announced they have found a potential habitable world in the Gliese 832 system just 16 light-years away. 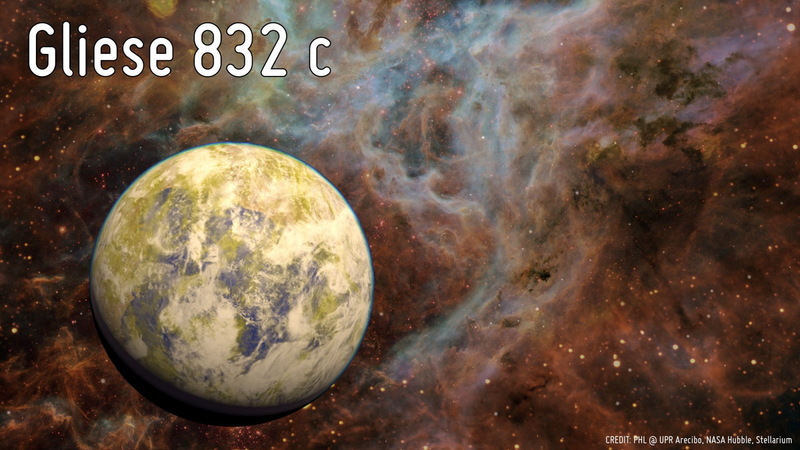 The planet Gliese 832c is a “super-Earth” planet which is at least five times as massive and orbit’s the star every 36 days, however because Gliese 832 is a red-dwarf star the planet gets about as much energy from the star as we do making it a very good candidate to support liquid water on the surface. We more and more powerful telescopes coming on line over the next decade the number of planets found is likely to increase significantly and we will also be able to learn a lot more about these planets. The French COnvection, ROtation & planetary Transits (CoRoT) satellite which has been operational for seven years and helped discover 32 confirmed planets with at least 100 more waiting for confirmation. For more news on the CoRoT mission check out its mission page here. With its solar panels their cleanest in years, NASA’s decade-old Mars Exploration Rover Opportunity is inspecting a section of crater-rim ridgeline chosen as a priority target due to evidence of a water-related mineral. Orbital observations of the site by another NASA spacecraft, Mars Reconnaissance Orbiter, found a spectrum with the signature of aluminum bound to oxygen and hydrogen. Researchers regard that signature as a marker for a mineral called montmorillonite, which is in a class of clay minerals called smectites. Montmorillonite forms when basalt is altered under wet and slightly acidic conditions. The exposure of it extends about 800 feet (about 240 meters) north to south on the western rim of Endeavour Crater, as mapped by the orbiter’s Compact Reconnaissance Imaging Spectrometer for Mars (CRISM). The ORB-2 Cygnus cargo mission to the International Space Station (ISS) has been delayed again due to the on-going investigation into an AJ26 engine failure last month during testing. The Antares rocket which launches the Cygnus spacecraft uses two of the AJ26 engines on the first stage to orbit. The new No Earlier Than (NET) date is July 1st, we will prove additional news when available on the launch date/time. NASA has decided to change the version of the second stage that will be used on the EM-2 crewed mission. Originally slated to be the Interim Cryogenic Propulsion Stage (ICPS) stage that will be used on EM-1 they have now elected to use the Exploration Upper Stage (EUS) stage that was originally scheduled to debut on EM-3. Due to this and the NASA Safety Office and Astronaut Office’s requirement that the upper stage complete at least one mission before any crew and be carried on it could mean that EM-3 becomes the first crewed mission for SLS in 2023. An alternate option may be to add an additional flight between EM-1 and EM-2 which would be used to prove the EUS therefore allowing EM-2 to be the first crewed flight, however additional funding would be needed to achieve that. At present there are no future details as to the overall impact of the SLS schedule with primary focus on the EM-1 flight in 2017. This week the Progress M-21M spacecraft completed it’s mission to the ISS with a successful undocking and later burn up in the atmosphere. The cargo vehicle spent 144 days at the station having delivered almost 2,400 pounds of supplies it was then loaded with trash that was no longer needed. European Astronaut Alexander Gerst tweeted the picture below of the Progress burning up in the atmosphere to conclude it’s orbital mission. The ESA Rosetta spacecraft completed two big burns this week as it entered the final phase of its approach to the Comet 67P/Churyumov-Gerasimenko after almost a decade journey. Unlike when it a spacecraft approaches a planet Rosetta will not be able to use the gravity of the comet to get into orbit but instead will need to execute a series of burns to precisely match the orbit. It is currently approaching at a speed of 17,000 kpd (kilometers per day) and is currently less than 300,000 kilometers away. Over the next month and half it will continue to refine the orbit. For more information in the Rosetta mission check out the page here. A team of Astronomers have discovered two new planets around a nearby red dwarf star Kapteyn, which is about 13 light years away in the southern constellation of Pictor. 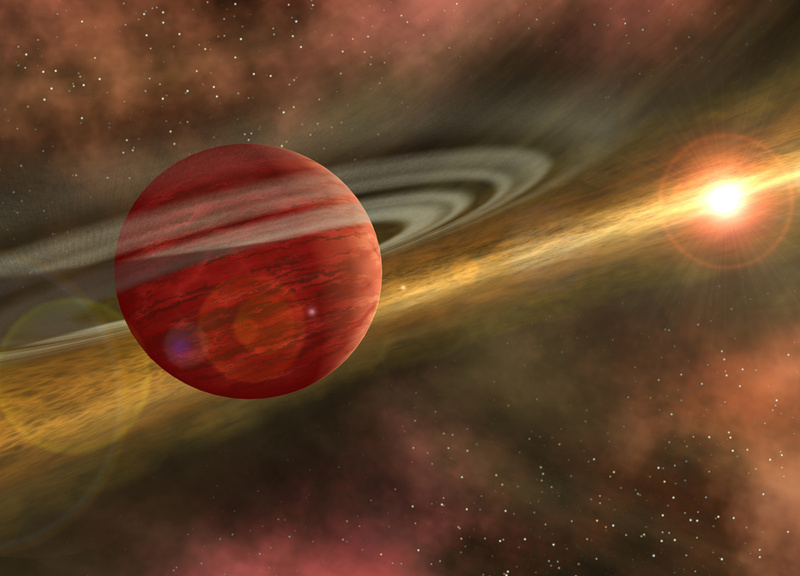 One of the planets Kapteyn c is considered to be too cold for life because of it’s distance from the star. 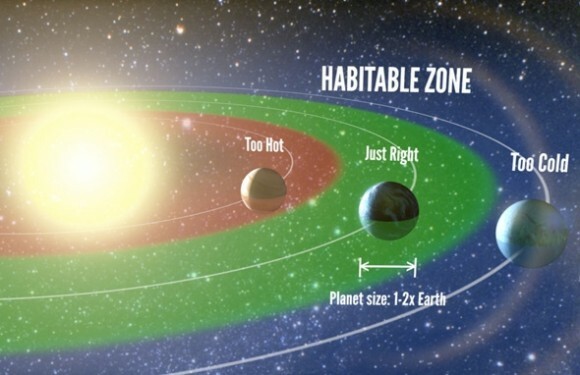 However Kapteyn b is within the habitable zone and therefore could have liquid water on the surface. The planet is estimated to be 5 times the mass of earth, and has an orbital period of 48 days. This week Boeing showcased their CST-100 spacecraft which is one of the spacecraft that is competing for the Commercial Crew contract to deliver astronauts to the ISS. The spacecraft will be launched by an Atlas 5 rocket and once in orbit will dock to the space station to deliver up to seven people to the station. During the return the spacecraft will utilize airbags when it lands. Boeing also indicated that further progress on the CST-100 would depend on them getting a contract from NASA in the CCtCap process which is currently on-going. The Mars Curiosity Rover which has been roaming around on Mars for almost a year is starting show ware and tare from the journey so far. Originally expected to take a year to get to the base of Mt. Sharp the rover is currently half way there and clearly showing signs of damage from the un-yielding rocks as it moves over the surface. Hmm wonder what the call out charge would be for AAA to replace the wheel, sign me up for that trip. The chief of the Federal Space Agency in Russia, Oleg Ostapenko said this week, while visiting Crimea, that they would need to build a super-heavy rocket capable of lifting between 80 to 85 tons to earth orbit in order to realize it’s lunar ambitions. Scientists from the University of Texas have released findings based on the “first plausible assessment of complex life in the universe using empirical data.” The findings estimate that there could be as many as 100 million planets in our galaxy that may harbor some form of complex alien life. The article also says that our galaxy is one of approximately 500 billion in the universe. Author Note: The estimate of galaxies in this article seems to be very high a factor of 2.5-5 times higher than most other articles or current estimates. This week Planetary Resources released a video, explaining why they believe fuel from asteroids will create a Trillion Dollar market in the future. Currently satellite operators have to pay for total weight of the spacecraft, including any fuel needed for the life of vehicle. This week smoke was detected on the ISS, in the Zvezda Service Module, requiring flight controllers to initiate emergency procedures to isolate the modules ventilation system while the source of the some was identified. The crew were never in any danger and the problem was quickly determined to be a heater that was used for water reclamation. The heater was deactivated, a fan and filter was then setup to clear the smoke. 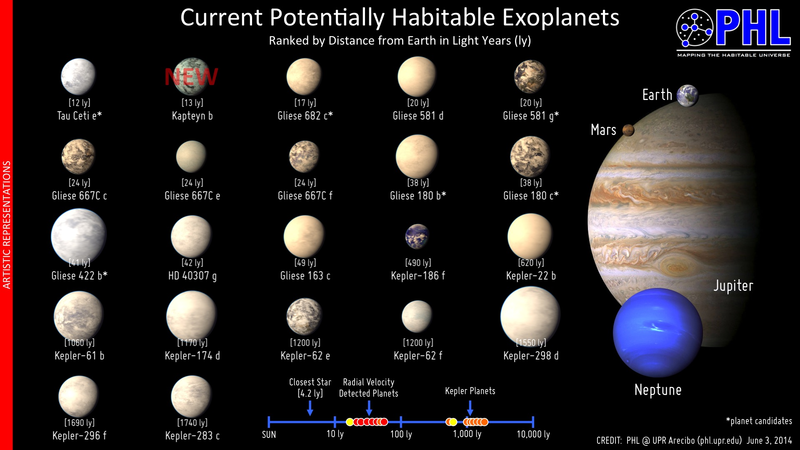 The NASA Kepler project updated the number of Kepler candidates and confirmed planets from 3,845 to 4,254. There are now up to one hundred potentially habitable worlds in the Kepler candidates, 30 matching the conservative definition of a potentially habitable. Pluto has often been considered a binary planet with its largest moon Charon, it now seems that they may both also share a thin atmosphere. While it is impossible to detect the atmosphere using ground based technology the New Horizon’s spacecraft that is current racing towards Pluto will have the ability to detect it. We will know more in 2015 after the flyby has been completed and the data is back on earth. Check out the fall article here. In a separate article researchers suggest that if cracks are found in the surface of Pluto that could indicate that the interior was once warm enough to sustain an underground ocean. Sierra Nevada Corporation who are building the Dream Chaser spacecraft that is competing for the contract to fly astronauts to the ISS this week announced a new partnership with Craig Technologies, a Cape Canaveral based company. The company will be responsible for the design engineering and manufacture of Dream Chaser. The 3D Printer developed by Made In Space has passed the final certification by NASA and will now be launched to the ISS on the next SpaceX mission in August. The printer was originally planned to launch on the SpaceX 5 mission but having completed all the milestones needed ahead of schedule they will now only need to wait until then to see the printer in action. Once on the station a series of tests will be run to verify the ability to created printed parts in a micro-gravity environment. England’s Sky News has reported that Google and Virgin Galactic have been in talks for months regarding a potential investment by Google. While no deal has been finalized it is believe to be a part of Google plans to launch a fleet of satellites to provide Internet access to the whole planet. The launch of six Orbcomm satellites on a Falcon 9 has been delayed again, originally scheduled for Thursday this week after previous delays the date was changed to Sunday after a problem was found with one of the satellites. While the problem with the satellite appears to have been resolved Orbcomm have decided to perform additional testing to verify the issue has been fully addressed. In order to complete the analysis the June 15 launch date is no longer achievable and they are working with SpaceX to identify a new launch date. The NASA Mars Atmosphere and Volatile EvolutioN (MAVEN) spacecraft which launched last November is now 100 days away from arriving at Mars. Check out the mission here. The Kepler spacecraft that was sidelined last year after two of it’s gyroscopes failed has been re-purposed to the K2 mission. The original mission of Kepler was to continuously observe the same patch of the sky looking for slight dips in the brightness of the star. This indicated that a planet or object transitioned across the star. To determine if there truly was a planet there and it’s orbital period they needed to observe the same dip at least three times. The initial results from Kepler showed planets that were very close to their parent star and yielded a lot of results, as the mission continued they started to see planets that were further out and had much longer orbit periods. Over the four years Kepler was observing they found 962 confirmed exoplanets in more than 76 stellar systems, along with a further 2,903 unconfirmed planet candidates. 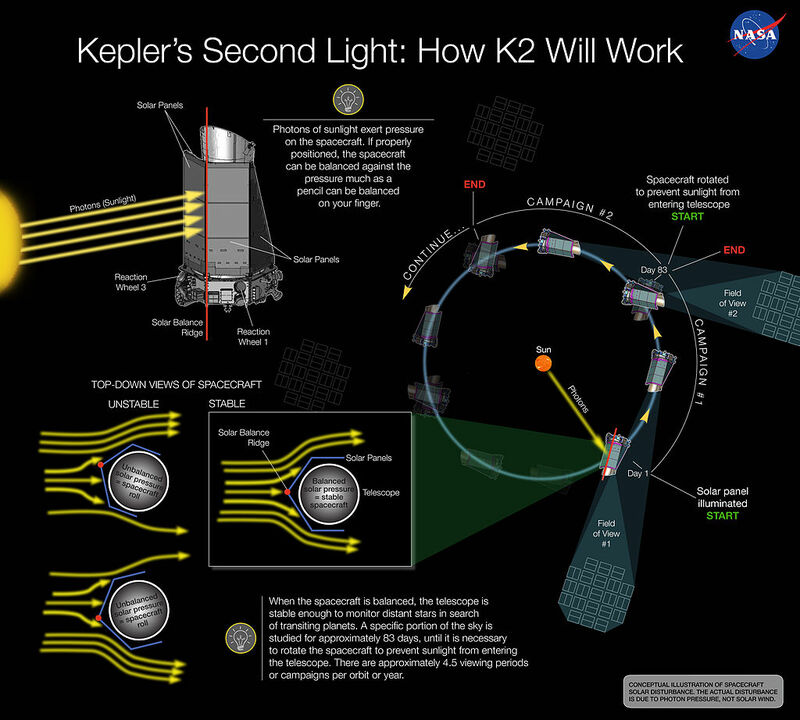 K2 will use approximately 80-day’s of observations per campaign allow it to perform a unique exoplanet survey which fills the gaps in duration and sensitivity of other missions and much better precision than is possible on the ground. For more information on K2 and how targets will be selected check out the full mission page here. 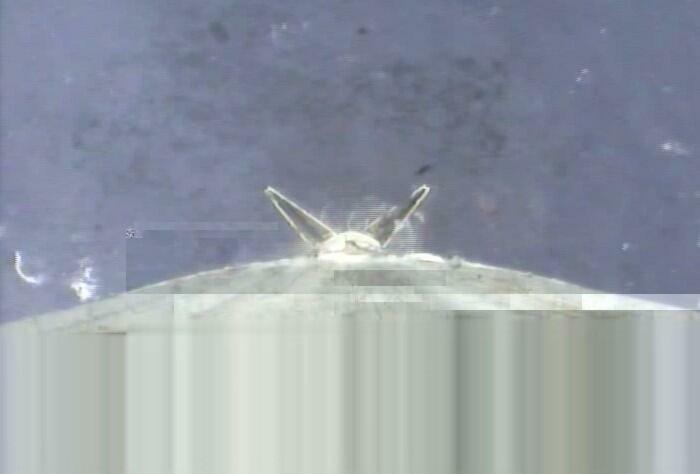 The first test flight of the Orion capsule moved a step closer this week with the attachment of the heat shield. The heat shield which protects the vehicle from the intense heat of re-entry is the largest ever flown. The test flight which is scheduled for later this year will demonstrate the ability of the vehicle to survive a high speed re-entry similar to those experienced by the Apollo missions that went to the moon. The mission is tentatively scheduled for December 4th on-board a Delta 4 heavy but that may change depending on progress of the test vehicle. This week SpaceX’s COO Gwynne Shotwell gave a talk at the Atlantic Council, during which she gave more details about the success of the company both in there launch successes so far with 9 for 9 in Falcon 9 launches. They currently have 42 missions on the books worth about $4.2 billion, approximately $100 million per mission. She also explained that SpaceX captured 100% of the launch contracts in the Falcon 9 class market during 2011/12. They are currently producing one Falcon 9 a month and are moving towards increasing this to two. She also talked about the Falcon Heavy test launch and that they are current building the tanks for that flight which is expected early next year. She also talked more about the up-coming manifest, and addressed the concerns regarding their ability to meet the commitments. She believes that they will prove that they can over the coming months. She then went on to talk about the re-usability of rockets and the change that will bring to the market in the long run. In other related news Dr. Garrett Reisman of SpaceX indicated that the Dragon V2 vehicle will look to use the 6 hour accelerated approach to the station as the Soyuz does today. This week the Optical Payload for Lasercomm Science (OPALS) experiment on the station this week transmitted it’s first video via Laser. The video can be seen here. These experiments will eventually lead to higher capacity communications between vehicles in space and the ground. OPALS was delivered to the station on the last SpaceX Dragon mission in the un-pressurized trunk and placed on the outside of the station by the CanadaArm 2. The European Extremely Large Telescope (E-ELT) will be the largest optical/near-infrared telescope built to far, with a 39 metre main mirror it will gather 15 times more light than any other telescope currently in operation today and will take images that are 15 times sharper than anything Hubble has taken. It will be able to image Earth like planets around other stars and study Jupiter like planets in great detail. To be built on top of Cerro Armazones in the Atacama Desert of northern Chile the telescope first light is planned for 2022. See a trailer video here. See a brochure of the E-ELT here. 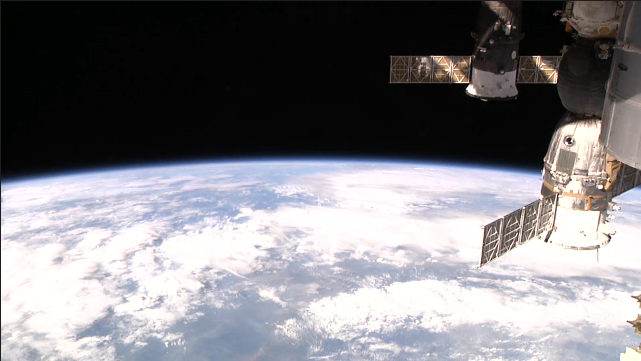 The HDev experiment is attached to the outside of the International Space Station and provides high definition views of the earth via a UStream channel. Below is a slide show of some of the images from this week. This week Russia fire back against US sanctions in two key areas, the first was to spurn NASA’s proposal to extend the life of the ISS through 2024. The second by announcing plans to block the export of Russia engines for U.S. Military launches. Given the continued aggression in Ukraine is doesn’t seem likely that these issues will be resolved quickly. The impact of the station extension won’t be felt for a number of years yet and could well change before then anyway. The impact on launches could hit home much sooner depending on how many engines ULA have already available. Although there could be an alternate solution very soon as SpaceX are close to finalizing the EELV certification process which would enable them to compete for military launches. 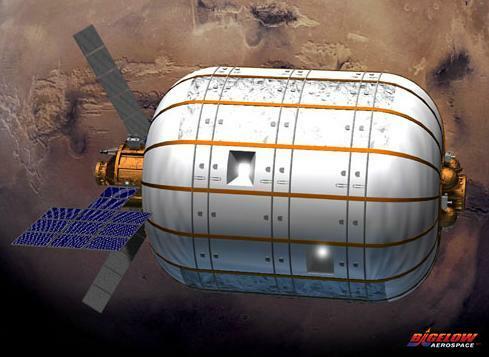 As for the Space Station it looks like it might be time to start looking for a long term alternative and Bigelow Aerospace’s BA-330 solution could be a good option. If planning started soon there is no reason why a fully operational station couldn’t be in orbit and have crew members living on board well before the ISS concludes it’s operations in orbit. While Russia hasn’t impacted the crewed launches to ISS yet, if the sanctions continue it could result in the US not being able to access the station, while some believe this is unlikely because NASA are paying for the seats to orbit it isn’t beyond believe that it could happen. Image of SpaceX Dragon at the station taken by Astronaut Rick Mastracchio during spacewalk. The Dragon spacecraft currently docked to ISS is expected to depart on Sunday to being it’s return to earth. Assuming all goes to plan Dragon will be unberthed from the station on Sunday at approximately 9:30am EDT and is expected to splash down in the Pacific Ocean about 6 hours later. Dragon is the only cargo vehicle currently that has the ability to return to earth allowing critical experiments to be returned for scientists around the world to continue there investigations. All the other cargo vehicles that visit the station burn up in the atmosphere at the end of there mission. This week NASA announced the selection of four veteran Space Shuttle Main Engines (SSME) known as the RS-25’s to be used on the first launch of the Space Launch System (SLS) in 2017. The SSME’s had been used throughout the 30 year history of the Shuttle Program and with the exception of one flight where a safe Abort to Orbit was needed performed flawlessly during that time. Unlike the Space Shuttle the engine’s will not be returned after the launch and will be destroyed during re-entry of the first core SLS stage. For further information check out the article here. SpaceIL one of the competitors in the Google Lunar XPRIZE have launched an Indiegogo campaign to raise $240,000 towards the cost of landing on the moon. The $1 = 1 mile campaign runs until June 17th and as of today has raised 20% of it’s target. On Thursday a Proton rocket lifted off at 5:21 pm EDT, however 540 seconds into the flight the third stage engine’s terminated resulting in the lose of the rocket and satellite. The Exkpress AM-4R communication satellite was a replacement for one that failed to reach it’s intended orbit in 2011. All future Proton-M launches are on hold pending a launch failure investigation. Originally scheduled to launch yesterday but delayed by uncooperative weather the launch of a ULA Delta 4 from Complex 37 at Cape Canaveral carrying a new Global Positioning System (GPS) satellite is now scheduled for 8:08 pm tonight. This week the crew of the TMA-13M due to lift off on May 28 left Star City, Russia for Baikonur Cosmodrome to being final preparations for the launch. Cosmonaut Maxim Suraev, Soyuz Commander and Flight Engineers Reid Wiseman of NASA and Alexander Gerst of ESA will join the current Expedition 40 crew onboard the ISS later this month. Astronomers announced this week they had detected what they believe to be the first sibling of the Sun. This star HD 162826 is believed to have been created from the same gas cloud that the Sun is believed to have been created from. The star is 100 light-years away in the constellation Hercules and isn’t visible to the naked eye, the star is approximately 15% more massive than our Sun. They have been observing the star for 15 years and have yet to detect any planets orbiting it. To detect the sibling the Astronomers looked for two identifying features, the first a simliar chemical composition to our Solar System and secondly similar orbit’s around the cetner of the Milky Way galaxy. For more information check out the article here. Astronomers have detected an exoplanet that is roughly 2,000 times the Earth-Sun distance from it’s star. Based on the distance from the star it would take approximately 80,000 earth years to complete a single orbit. The planet located around GU Psc, located in the constellation Pisces has been observed directly by combining observations for various telescopes. One of the most prominent features of Jupiter is slowly shrinking, the Great Red Spot – a swirling storm bigger than earth – is now smaller than ever measured before. Observations going back to the 1800s estimated the spot to be 25,500 miles on it’s long axis. When NASA’s Voyager 1 and 2 flew by in 1979 they measured it to be 14,500. In 2009 Hubble measured it at 11,130 and since 2012 amateur observations have noticed it shrinking by as much as 580 miles per year. We are back with our weekly blog, and what an interesting week it has been. On Friday 4/25, SpaceX’s CEO Elon Musk announced that SpaceX had filed a suit protesting the bulk buy of Rocket Core’s from ULA. SpaceX made several arguments against the block buy, including the fact that each launch was four times more expensive than then equivalent SpaceX rocket, the fact that ULA’s main engine’s were sourced from Russia. Elon stated also that they just want the chance to compete in a fair competition, at the end of the day if they compete and lose then they would except this decision. Here is the full article regarding the suit. On Thursday 5/1 SpaceX won a preliminary injunction prohibiting any purchases of Russian rockets engines by the US Air Force. The full text of the preliminary injunction can be found here. During the above Press Conference Elon Musk also announced that they had confirmed successful soft landing of the first stage from the CRS-3 launch. However due to the rough seas in the area the rocket didn’t survive long in the water. On Tuesday this week 4/29 SpaceX posted video from the first stage, unfortunately it is badly damaged and they are asking for assistance in cleaning it up further. Several images have been posted that show the stage as it approaches the water. This week SpaceX also completed another test of there F9R test rocket to 1000m, these tests bring closer the day when re-usable rockets will be viable. This week Orbital Sciences Corporation and ATK announced that they were merging to form Orbital ATK Inc. As part of the process ATK will split off the Outdoor Sports business into a separate entity and the Aerospace & Defense business will be merged with Orbital. Classed as a merger of equal’s the new company valued at approximately $5 billion will be lead by current Orbital President and CEO Mr. David W. Thompson, with ATK’s President Mr. Blake E. Larson will become COO. Full details of the merger can be found here. Due to the sanctions that been placed on several key members of the Russian government following the events in the Ukraine, Russian Deputy Prime Minister proposed an alternate solution to America’s dependency on Soyuz to get to ISS. “I propose that the United States delivers its astronauts to the ISS with the help of a trampoline,” he said. Unfortunately he then followed up with another tweet. So we will have to wait until the end of this month to see the Crewed version of Dragon. Astronmers using the ESO’s Very Large Telescope (VLT) have determined the rotation rate of an exoplanet. Beta Pictoris b has been found to have a day that lasts only eight hours, much faster than any planet in our solar system. 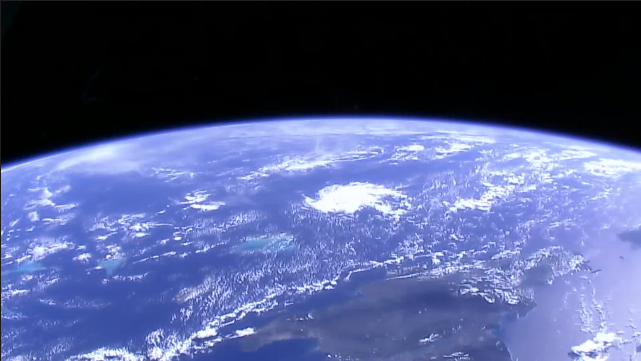 The equator is travelling at almost 100,000 kph. This week the Morpheus Lander completed it’s 12th free flight test as KSC, for the first time the test vehicle used the Autonomous Landing and Hazard Avoidance Technology (ALHAT) to divert to a safe landing spot instead of the previously programmed landing spot..
Video of the test can be found here. 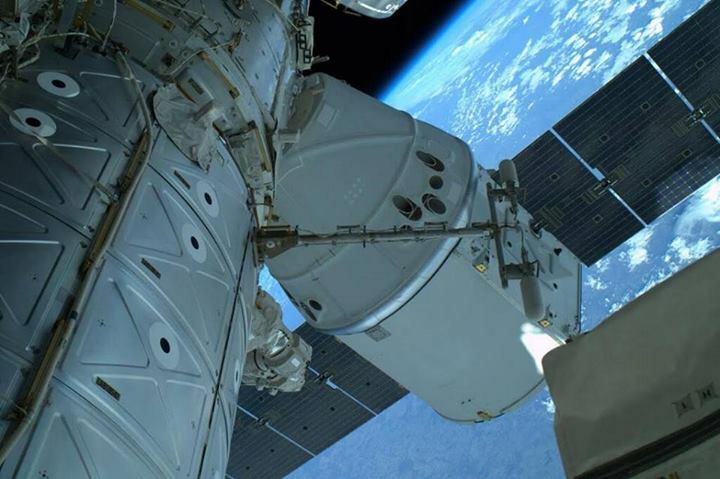 Once of the science experiments that was transported in the trunk of the Dragon last week was removed on Wednesday and attached to the space station. The HDEV experiment will beam back live pictures from the station, and contains four HD camera’s which are housed in a enclosed, pressurized, temperate controlled housing. While on station the effect of the space environment on these camera’s will be monitored. The Live Stream from the Camera can be found here. 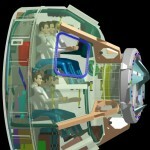 This week Boeing released several new images showcasing the interior of there CST-100 Commercial Crew vehicle. The CST-100 is competing with Dragon, and DreamChaser to become the vehicle of choice for crewed missions to the ISS. 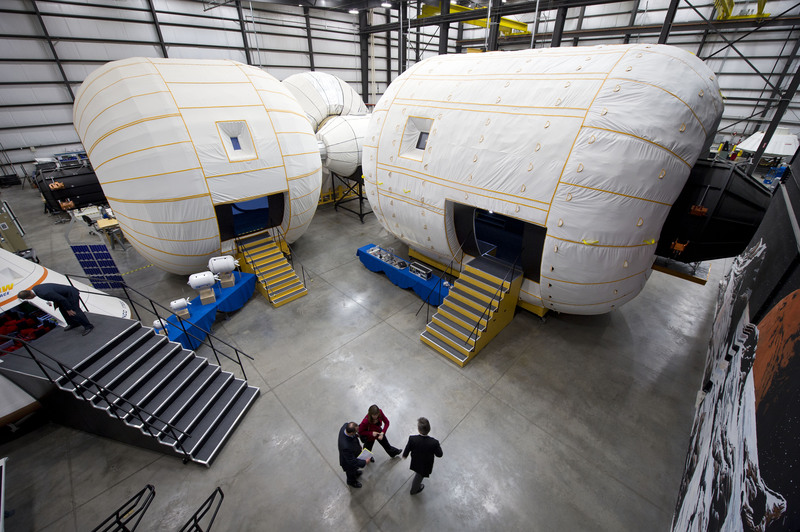 As part of the CST-100 unveil Bigelow Aerospace also unveiled a full scale model of their BA-330 inflatable module which they aim to launch by 2016. Because the module is inflatable four of these modules would provide more space than currently available on the International Space Station and would require significantly less launches to complete. This week NASA announced the selection of three new Flight Directors to lead Mission Control. The directors will manage the International Space Station (ISS) operations and are Amit Kshatriya, Jeffery Radigan and Zebulon Scoville. The full article and bio’s on each can be found here. British Astronaut Tim Peake who will be launching to the International Space Station next year has launched a competition in the UK for school children to create a meal that will fly with him to the station. The winner will work with Celebrity Chef Heston Blumenthal to develop the idea further. Images used in this post are copyright of their owners. Following two delays because of technical issues during countdown SpaceX successfully launched the SES-8 spacecraft on Tuesday. This was a critical mission for SpaceX as it was there first to GTO and also the first to require a re-light of the second stage engine to ensure the spacecraft arrived at the proper orbit. Unlike the previous two attempts the countdown went smoothly and the spacecraft lifted off on time for approximate 9 minute climb to the initial orbit. Once in orbit the second stage and spacecraft cruised for another 18 minutes before the second stage fired its engine for 71 seconds to place it in the correct position to release the spacecraft into it’s designated orbit. While the final stages of the flight were not broadcast live Elon Musk sent out several tweets advising of the progress of the mission and confirmation that the spacecraft had been delivered as expected. Next up SpaceX will be flying another mission from the Cape, this time for Thaicom this was original scheduled to fly at the end of December, however this may change because of the delays in the SES-8 flight. The Chang’e-3 spacecraft has arrived in it’s initial Lunar Orbit less then five days after it launched aboard a Long March rocket. The spacecraft will now prepare for a historic rocket assisted landing on the moon later this month, assuming the landing is successful China will be the third nation to land a vehicle on the moon, Japan has impacted on the moon but not landed a craft that explored further. As the test flight for the Orion spacecraft draws closer another major element on the craft was shipped to Kennedy Space Center to be integrated. The Heat Shield which will protect the craft from the intense heat of reentry was shipped from Manchester, NH via a Super Guppy aircraft. This week astronomers announced the discovered of an exoplanet that according to current understand of planetary formation shouldn’t even be there. The planet HD 106906 b measures in at 11 times the mass of Jupiter and is estimated to orbit at 650 times the Earth-Sun distance. This week India successfully launched their first Mars Orbiter called Mangalyaan, the spacecraft was launched by a Polar Satellite Launch Vehicle rocket (PSLV) from India’s launch site, Satish Dhawan Space Center. If all goes well the spacecraft is due to arrive in Sept 2014 and will make India only the fourth nation to explore the red planet. There are five instruments on board to study the atmosphere and surface. Astronomers using data from NASA have estimated that within just the Milky Way there are potentially 8.8 Billion planets within the Goldilocks zone of their star and also about the right size for life to survive. For more information check out the full article here. The “Goldilocks” zone around a star is where a planet is neither too hot nor too cold to support liquid water. Illustration by Petigura/UC Berkeley, Howard/UH-Manoa, Marcy/UC Berkeley. For the first time since the last Shuttle Mission to the station there are currently more than six crew members on the station, with the arrival of Mikhail Tyurin, Rick Mastracchio and Koichi Wakata, aboard there Soyuz TMA-11M a busy week of activities has begun, which will include a spacewalk and three crew members departing the station. As well as bringing the new crew to the station the Soyuz also carried a replica of the Olympic torch which will be taken outside today during a spacewalk. Upon completion of the spacewalk the torch will then return to earth with Fyodor Yurchikhin, Karen Nyberg and Luca Parmitano who are scheduled to depart tomorrow on their TMA-09M spacecraft.. The nine crew members currently aboard the space station representing four different countries America, Russia, Japan and Italy performed an improvised Olympic Torch relay on the station this week. They each took turns to float through the station before passing the torch to the next crew member. Getting a step closer to it’s November 18th launch the MAVEN spacecraft has now been attached to it’s launch rocket. Assembly of the Atlas 5 rocket was completed with the attachment of the spacecraft and will now undergo final checkouts and testing in preparation for the launch. Next week we will be focusing primarily on the MAVEN mission. The European GOCE satellite which has been in orbit since March 2009 is due to re-enter sometime on Sunday evening and while most of the craft will burn up harmlessly as it enters there is the possibility that some smaller pieces will fall down to the surface. As the spacecraft doesn’t have re-enter engines it is not possible for the scientists to determine exactly where any pieces may fall. This week Virgin Galactic announced that NBC would be broadcasting the first commercial flight of the SpaceShipTwo vehicle which will be carrying Richard and his two adult children Sam and Holly. There will be a prime-time special the day before the flight as well as a live three hour show during the actual launch. One of my roles is to help maintain the web site for the Mars Foundation, this week we launched a new version of our site. Check it out here. The Orbital Sciences Cygnus spacecraft completed it’s final test mission under the C.O.T.S program with a fiery end during re-entry to earth’s atmosphere. Following a week delay because of an issue during the initial attempt to dock the rest of the mission was very successful with all the cargo being offloaded and trash that was no longer needed being placed in the vehicle. Orbital are now gearing up for the first of eight Commercial Resupply mission’s under the $1.9 billion contract awarded by NASA, currently scheduled for the end of the year. The fourth Automated Transfer Vehicle Albert Einstein completed it’s mission to the ISS this week, having delivered seven tonnes of cargo to the complex and having been docked for four months the vehicle un-docked from the Russian Zvezda module and like the Cygnus vehicle will meet a fiery end when it re-enters the atmosphere later today. In preparation for the next manned crew to arrive at ISS the Soyuz TMA-09M which brought Fyodor Yurchikhin, Karen Nyberg and Luca Parmitano was moved from the Rassvet mini-research module to the port freed up on Zvezda following the ATV un-docking. Typically three members of the current crew leave the station and land before the next three members of the crew launch, however because of the Olympic torch event coming up next week this will be the first time since the last Shuttle mission where more than six people will be on the station at the same time. In preparation for their launch to the ISS the next crew consisting of Russian cosmonaut Mikhail Tyurin, American astronaut Rick Mastracchio and Japanese astronaut Koichi Wakata arrived at the Baikonur Cosmodrome for their flight on Nov 7. They will spent the next week preparing for their mission, and following a six hour flight will dock to the station. The crew will be carrying a replica of the Olympic Torch which will be handed off to Oleg Kotov and Sergei Ryazansky who will then take it outside the space station during a space walk on Nov 9. The torch will then return with Yurchikhin, Nyberg and Parmitano when they depart the station Nov 10 and will then be used during the opening ceremonies at the Sochi games in Feb 2014. During it’s first free flight test the Sierra Nevada Dream Chaser performed perfectly right up to the point where the landing gear deployed, for some reason the left landing gear did not deploy, which caused the vehicle to skid off the runway. However during the flight Sierra Nevada were able to gather a load of very valuable data from the instrumentation on the craft and verify that it could fly autonomously. During the landing the craft detected the problem with the landing gear and was able to keep the left wing in the air as long as possible before it finally dropped causing the craft to to skid off the runway. Sierra announced after the accident the the internal structures in the vehicle had not been damaged during the accident and they were confident it could fly again if need to further validate the design. The first Orion spacecraft that will fly in space was powered up for the first time this week. 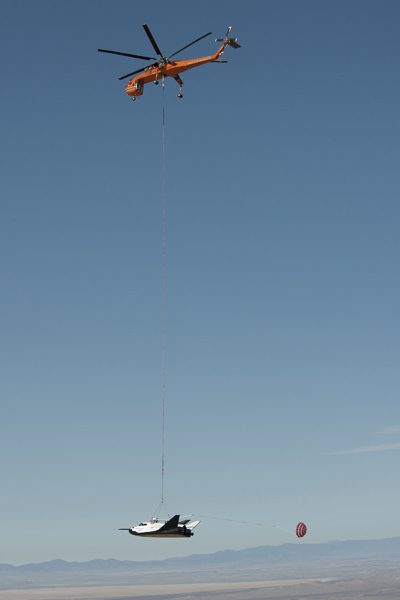 The vehicle which is currently scheduled to fly some time between Sept 18 and Oct 18 2014 was activated to allow testing on the main control computers to begin. NASA’s next mission to Mars the Mars Atmosphere and Volatile EvolutioN (MAVEN) spacecraft is just 16 days away from launch, NASA held a press conference this week to discuss the mission and it’s goals. Check out the conference here, we will have more news next week. 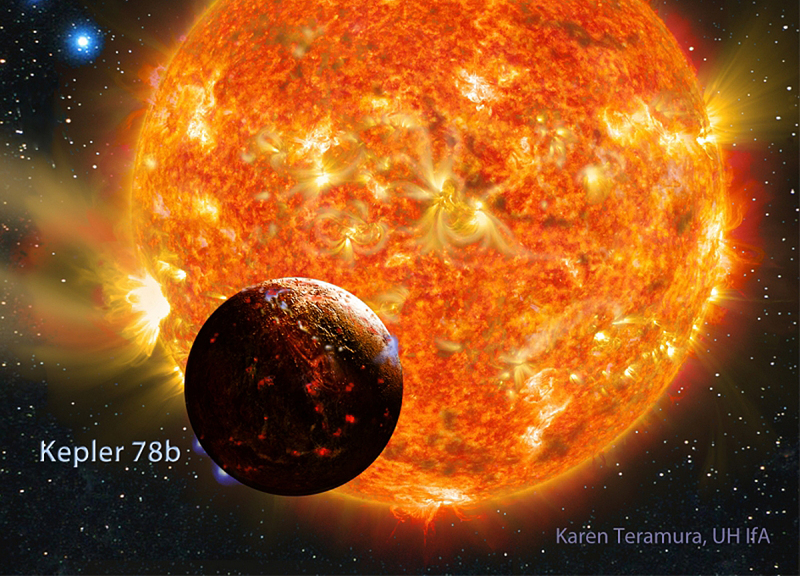 This week astronomers announced the discovery of Kepler-78b a earth sized rocky planet orbiting Kepler-78, however the planet orbits every 8.5 hours making it far too hot to support life. For more information on the new discovery check out the full article here. 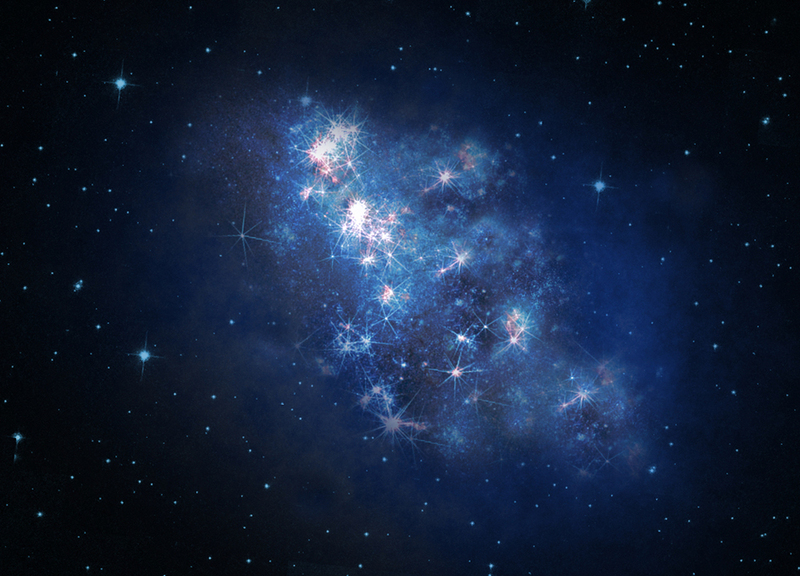 This week astronomers announced the discovery of the most distant galaxy found so far. The galaxy is seen as it was just 700 million years after the Big Bang, when the universe was only about 5 percent of its current age of 13.8 billion years. One of the payloads on the LADEE spacecraft is a Laser Based communication system, during testing NASA set a record of 622 megabits per second. Laser based communications will significantly increase the amount of data that can be transmitted between spacecraft and the ground. NASA announced this week that the Wide-field Infrared Survey Explorer (WISE) spacecraft will be taken out of hibernation to start a three year mission to search for Near Earth Objects. While the primary instruments on the vehicle required frozen hydrogen to operate which ran out in 2011 the other instruments do not and these will be used for the new mission named NEOWISE. The science team will be contacting the vehicle in September to begin operations again. This week the Sierra Nevada Dream Chaser spacecraft completed a two hour captive carry test over Edwards Airforce base. This was the first time that a fully operation version of the vehicle had flown and gave engineers the chance to review all systems before a series of approach and landing tests will be performed. Initial tests will be fully automated before crewed tests are performed. The Dream Chaser vehicle is one of three competing for the chance to launch US crews to the International Space Station. Personally I hope there is a way to fund all three vehicles to give the US unprecedented access to space for the future. The European Galaxy Explorer spacecraft Gaia has arrived in French Guiana to begin three months of flight preparations before a November launch aboard a Soyuz Rocket. Once launched the vehicle will be placed a million miles from Earth and will use dual telescopes to map the precise locations of stars. For more information on the vehicle and missions check out it’s page here. This week Astronomers released a movie showing 13 years of observations by the Hubble Space Telescope of super-heated gas 5,000 light years long. The gas is being ejected from a super-massive black hole for more information and to see the movie check out the press release here. 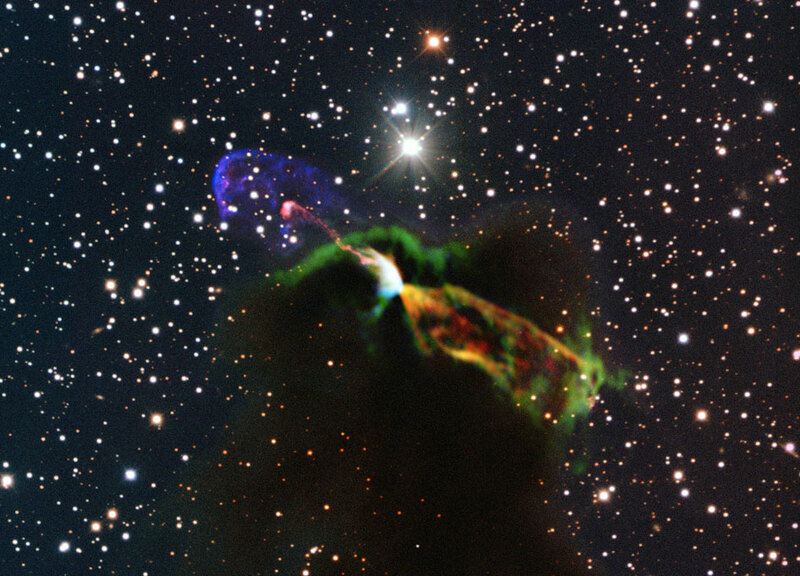 Astronomers using the Atacama Large Millimeter/submillimeter Array (ALMA) have released the image below showing material streaming away from a newborn star. For more information on the observations check out the full article here. This week NASA released a video capture by the Mars Curiosity Rover of the Mars moons Phobos passing in front of Deimos. This is the first time any vehicle on the surface of Mars has captured one of the moons passing in front of the other. For information and to see the movie check out the article here. Once again Russian Cosmonauts Fyodor Yurchikhin and Alexander Misurkin ventured outside the International Space Station for a spacewalk. Unlike the walk last week that broke the record for longest by a Russian team this walked came in just short of 6 hours. The pair were able to successfully complete the objectives set out for them including one that didn’t look possible during to misalignment of the parts. The spacewalk was the 173rd in support of space station assembly and maintenance, the eighth of Yurchikhin’s career and the third for Misurkin. The Infrared Space Telescope was launched into space ten years ago this week, the fourth of the four Great Observatories launched by NASA it continues to show us the dark side of the cosmos with it’s infrared vision. For more information on it’s mission and to see the images it has returned check out the mission page here. Meanwhile the Fermi Gamma-ray Space Telescope celebrated it’s five year in space by entering into an extended mission to perform a deeper study of the high-energy cosmos. The vehicle has already provided Astronomers with a detailed potrait of gaint black holes in distance galaxies and even details of thunderstorms on Earth. For more information on Fermi check out it’s mission page here. The Astronaut Class of 2013 met with the media this week for the final time before they embark on their two year training program. Check out the release here including video’s and interviews with the eight. Another week has come and gone and the stories continue to flow in, this week we have a number of exciting stories plus four Kickstarter projects related to space. This week NASA managers announced the new plan which would see the first uncrewed mission named EM-1 travel to 40,000 miles beyond the moon. Due to the change in the mission it will not take approximately 25 days to complete, with 18 of those used for the travel time and the rest performing tests at the destination point. For more information check out the full article here. The Mars Rover Curiosity has begun it’s epic drive to Mt. Sharp, expected to take the next year to complete the rover is making a 5 mile journey to a spot which will allow it access Mt. Sharp’s lower reaches. Check out the latest new on the rover here. This week a NASA Science Team outlined the goals for the next Rover to head to Mars, based on the same design as Curiosity the rover will look for signs of past life on Mars as well as collect samples for a possible future Sample Return mission. Check out the press release here and more information is available here. This week European Ministers approved the start of preparatory activities for Europe’s next-generation Ariane 6 launch vehicle. For more information on the rocket design and goals check out the press release here. Rover succeeds in the harsh environment of Greenland a new NASA Rover passed a series of tests. Known as GROVER for Greenland Rover and Goddard Remotely Operated Vehicle for Exploration and Research, it was designed by a team of students attending boot camps at Goddard. Despite the harsh weather the rover performed well during the 5 weeks of testing. For addition information check out the article here. This week Astronauts Christopher Cassidy and Luca Parmitano completed the 170th Space Walk devoted to station assembly and maintenance. Chris was performing his four space walk while this was Luca’s first. They were able to perform all the originally planned tasks for the walk as well as several get-ahead tasks. Both will be suiting up again on Tuesday for another spacewalk. Scientists using the new ALMA (Atacama Large Millimetre/submillimetre Array) telescope in Chile witness the birth of a massive star approximately 10,000 light years from earth in a dark cloud core. The star is 500 times the mass of our Sun and brighter making it one of the largest stars in our galaxy. For more information check out the full article here. Using the IBEX (Interstellar Boundary Explorer) spacecraft scientists have been able to map out the structure of the tail that our solar system produces. We have seen similar tails around other stars but until now have not been able to determine if our own star actually had one. For more information check out the article here. This week NASA and it’s International Partners in the space station announced three new crew members who will launch in June 2015 and make up part of the Expedition 44/45 crews aboard the station. The three are NASA astronaut Kjell Lindgren, Japanese Exploration Aerospace Agency (JAXA) astronaut Kimiya Yui and Russian Federal Space Agency cosmonaut Oleg Kononenko. For more information and the full bio’s for the crew members check out the article here. Astronomers using the Hubble telescope have for the first time been able to determine the color of a planet orbiting an distance star. The planet called HD 189733b if viewed up close would be a cobalt blue color similar to Earth when viewed from space. However unlike Earth this is a Gas Giant that is orbiting very close to its star. Check out the full article here. The NASA Solar Dynamics Observatory (SDO) and the Japanese Hinode spacecraft have been used to provide the first accurate estimates of the Sun’s magnetic field. The Tsunami’s are created by massive explosions in the Sun’s atmosphere and by observing the effects of these they were able to determine that the Sun’s magnetic field is ten times weaker than a fridge magnet. For more information check out the article here. Sierra Nevada Corporation (SNC) have completed the initial tow tests of their Dream Chaser spacecraft which is in the running for Commercial Crew missions to the ISS. The initial tests are designed to validate the performance of the craft and it’s equipment. For futher information check out the article here. It would seem that following the success of the ARKYD project on Kickstarter a number of others have started new projects for Space related missions. Here are some additional articles I found but haven’t summarized in the blog.